Be careful the next time you click on a YouTube video that promises content of an adult nature – not that any of our upstanding readers would – as it may well be malware in disguise. Some security boffins have issued a warning after they discovered a new type of malware doing the rounds on YouTube. Through a fake YouTube account, the creators of the malware posts spam on to forums, promising a rude video, only for the link to take users directly to the malware hosted on a site away from YouTube. McAfee, the security analysts who issued the security warning, has linked the malware-infested website to a number of other viruses doing the rounds. 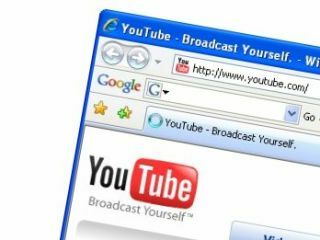 The YouTube attack comes just a few weeks after Panda Security found that virus creators were making fake YouTube pages to hide malware, using a program called YTFakeCreator.